Since I first bought the domain in 2013 (I think), this website has never really been completed. Until now. I’m glad to announce that I’ve finished working on it and that I’ve included this blog section where I can sometimes communicate what I’m working on in a longer format than Twitter allows for. A few people have been asking for a Discord server lately. I’ve been using Discord for a while now and I quite like its features, so I’ve decided to create a server where I can gather everyone’s suggestions. As a single developer it’s pretty cumbersome to have to check your email, Twitter and Facebook regularly to see what’s up. I’ll of course continue to do so, but now I can direct people to the Discord server after responding to their questions and suggestions. Hopefully some people will join and form small, tight-knit communities around Gladihoppers and Bouncy Basketball. Feel free to join, the invite link is up in the menu at the top. 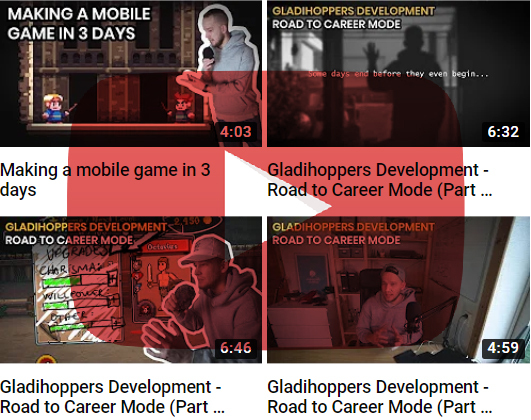 Well, I can’t promise anything because my track record of sticking to deadlines is abysmal, but I am planning on having the Career mode update for Gladihoppers out on mobile before the start of summer. As soon as that’s done, I’ll adjust the input controls to make them fit for a desktop version that will be uploaded to the Itch.io page. And whenever I feel like taking a break from Gladihoppers I’ll continue work on the still unnamed wizard game I’m making together with Magickbird. So if all goes well I’ll be able to start work on Bouncy Basketball 2 sometime by the end of summer. I’m planning on sharing much of the development of BB2 on my personal YouTube channel and I’m really looking forward to it. I feel like I’m now a capable enough developer to show more of my process as opposed to before when my projects turned into a complete mess mere weeks into development. 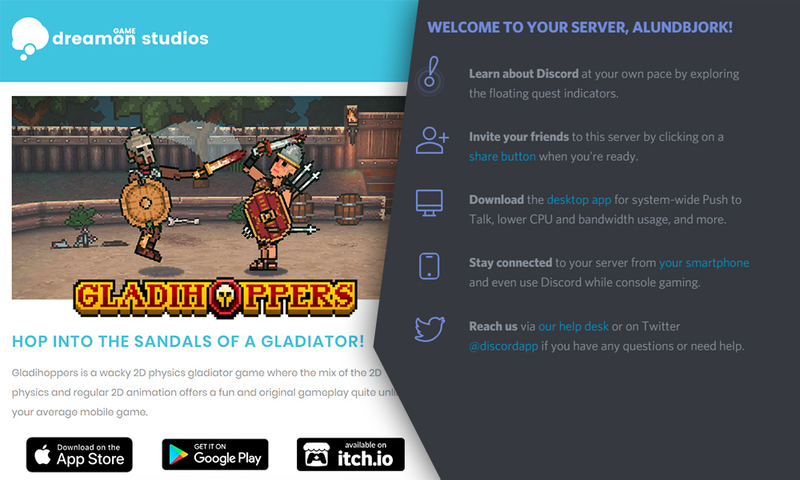 You can now join the Dreamon Studios Discord server to receive the latest news on updates as well as participating in the development of current and future games. I’ve got a personal YouTube channel where I share my game development journey. Feel free to check it out! Dreamon Studios is a one-man game development studio based in Sweden. The current focus is mainly on developing small to medium scale mobile games that stand out from today’s free-to-play giants and their casual, artsy indie competitors.